Glass hollow microsphere — high-tech universal filler, hollow microscopic particles (from 30 to 160 mcm) of ideal spherical shape. To produce glass microsphere we use glass of our own special composition. Our unique technique of production allows to adjust parameters of particles and make substance homogeneous. 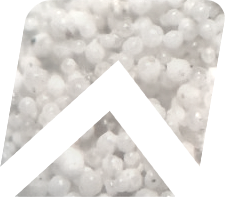 Aluminosilicate microspheres — effective inexpensive filler made out of dispersive grey colour material. Consists of hollow spheres with hard impermeable surface. Their diameter is from 10 to 500 mcm (average about 100 mcm). Glass microsphere is especially popular in the production of lightweight plastics, plastic masses and plastic compounds (thermoplasts of injection moulding, sheet and bulk moulding compounds, plastics created by means of reaction injection moulding, transfer moulding etc.). Lightweight high-durable composite materials are created using glass microsphere. Without these materials modern high-tech engineering is unthinkable – space and aircraft industry, ship and automobile construction etc. Glass microsphere is in demand both in public and industrial construction. 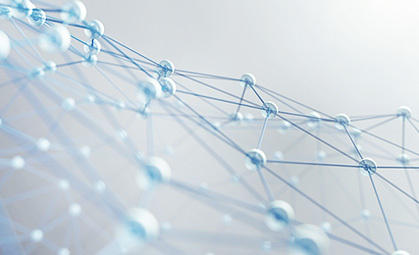 Microsphere has become an integral part of numerous modern materials applied in building: pore fillers, mastic compounds, sealant compounds, adhesive materials, heat- and sound-insulating coatings, roof coverings, paints (including special— light reflective etc. ), corrosion-resistant and other protective cover coatings. Glass microsphere is used in defence industry (for example in emulsion explosives), in medical industry (to create special coatings), chemical industry (in catalytical materials, anti-foaming agents and others), at manufacturing sports equipment, lightweight watercrafts etc. Oil and gas extraction industry — is the largest national consumer of aluminosilicate microsphere. Primarily, the industry demands inexpensive good quality filler to produce oil well cement: it fills the space in between well bore and casing pipe simultaneously enforcing and protecting it. In construction industry solid and lightweight spherical filler is needed to make lighter cements and concretes, plasters, pore fillers, heat- and sound-insulating materials, paints, primary coats, anti-corrosive coatings, refractory coatings, thermoplastic marking for roads etc. Aluminosilicate microsphere is added into composition of numerous plastic materials and plastic compounds (nylon, polyethylene, polypropylene etc. ), rubbers, new polymer, composite, filled and cladded materials. They are broadly applied in the majority of processes in modern auto engineering, especially in transport building. Aluminosilicate microsphere is used together with ceramics to create refractory ceramics, insulating materials, high-porous abrasive materials. It is also in big demand in chemical industry. Trading company ForeSphere deals in glass and alumosilicate microsphere under brand name ForeSphere. Trading company ForeSphere provides technical and administrative support to all of our clients. Deals are negotiated only by specialists who have thorough knowledge about properties and features of ForeSphere product and who are oriented towards fruitful cooperation. Trading company ForeSphere also takes charge of document flow and organizational processes (forming batches, timing of shipments etc.). All procedures are made transparent to the client, timeframes of performance — clear and flexible. Trading company ForeSphere is a part of FORES company group — the largest manufacturer of propants in Russia. Having started with one production line and the first output of 192 tons in 2000 our company has developed capacities surpassing 55 000 tons of release product per month (data according to January,1 2017). This constitutes almost 60% share in Russian market of proppants. FORES also runs a scientific centre, 5 production plants and 3 logistic hubs. 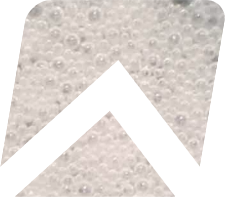 All FORES microspheres are manufactured using our special technique: numerous tests and constant quality monitoring allow us to vary characteristics and properties of our product at our own capacities.